IS YOUR CHILD’S ASTHMA LIFE-THREATENING? School Moto: Dream more, learn more, do more, become more. Our mission at CAM Academy is to support and promote the academic success, positive character development and acquisition of marketplace skills, for all students enrolled in our schools by building strong partnerships with families. Our core values are based on RESPECT for all members of our school. Relationship: Developing a positive rapport among students, parents and staff. Education: Learning is a lifelong experience of discovery. Service: Serving to meet needs, build community and encourage dreams. Partnership: Intentionally sharing the responsibility of educating children. Excellence: Developing a commitment to personal best. Character: Developing the inward motivation to do what is right even when no one is looking. Trust: Earning the trust of others by demonstrating integrity in all we say and do. CAM Academy (Character and Academics for the Marketplace) is a rigorous, academic, alternative school that presently serves students in grades 3-12. Initially established as a high school in 1996, it evolved into CAM Junior-Senior High School through the 90’s and into the 2000’s. In 2012, third and fourth grade classrooms were added to the school, the name was changed to CAM Academy and now three distinct programs, Primary, Middle and High are offered to Battle Ground, and greater Clark County, families. Character is the first component of our program and makes up the foundation as to which our school is founded upon. Each month the school emphasizes a different character trait. Click on each trait to learn more about it and how to implement it in education. Also download free pages to work on at home. 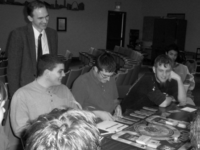 Academics is the second component of our program. The core curriculum delivered in CAM Academy classrooms focuses on four areas for all years of attendance: English, history, science, and mathematics. Within the context of the core 4×4 curriculum, all students receive specific instruction in computer technology on a daily basis. Independent contracts developed in partnership with parents and students will cover state requirements for health & fitness and visual and performing arts. state standards and graduation requirements. Students attendance days are Monday, Tuesday, Thursday and Friday. Wednesday’s are off site learning days and are an extension of the classroom learning. Marketplace is the third component of our school program which encompasses a wide variety of tools used in our classrooms to help our students be successful in their community and world after they have completed school. necessary to excel at post high school institutions of higher learning, in the marketplace or in public service. CAM Academy has earned the Washington Achievement Award for Overall Excellence every year since the award began in 2009, with the most recent award in 2016. 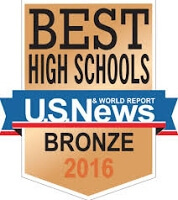 U.S. News & World Report has awarded CAM Academy with a Bronze Medal again in 2018, in recognition of CAM High School’s achievement on state assessments. We have been awarded this each year it is awarded.